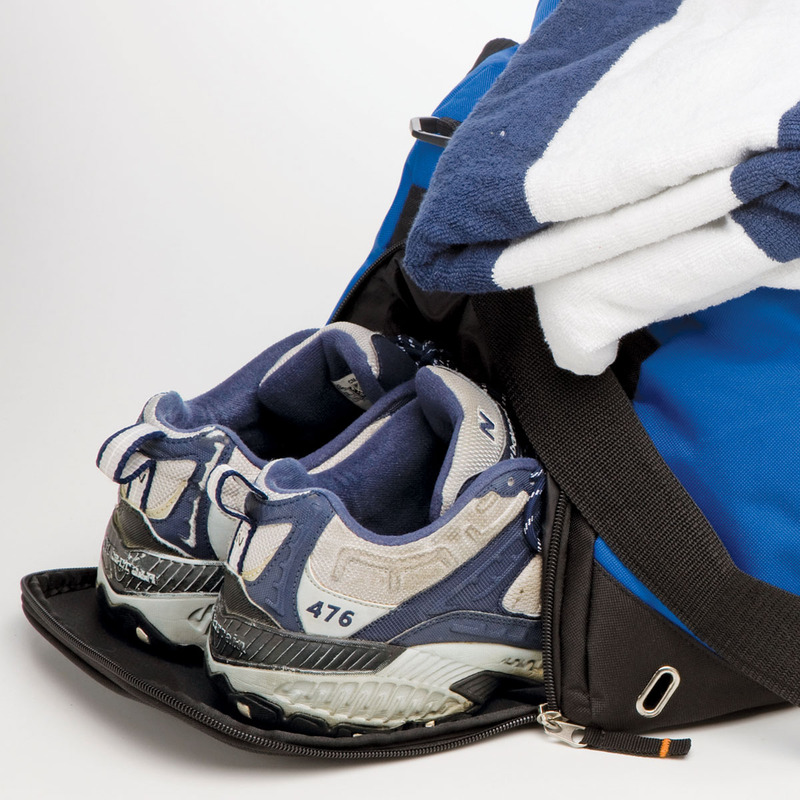 Stay on the run with this versatile duffle bag. 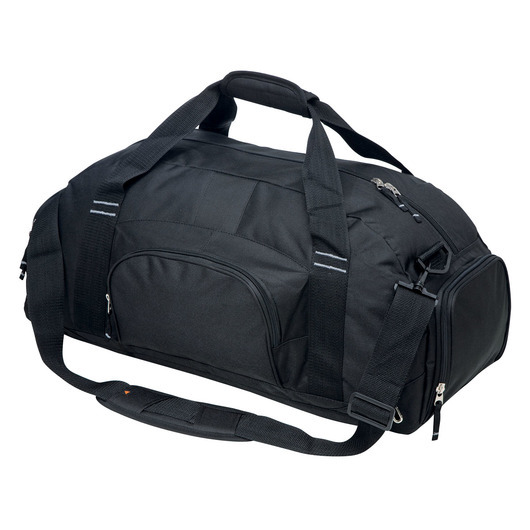 Comfortably carry all your gym essentials with this duffle bag with a huge capacity. Made from sturdy 600D polyester with the added stability of a baseboard and rubber feet. Features a double zipped main compartment and zippered pockets at both ends with one doubling as a shoe tunnel, you'll always have room for everything you need. Zippered side pocket, with shoe tunnel at one end.